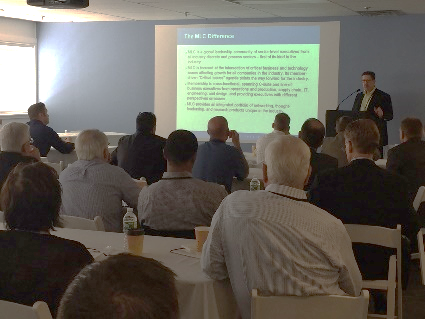 LAI International, Inc, a world-class provider of manufacturing solutions to the aerospace, military, energy and medical industries, presented to the Manufacturing Leadership Council earlier this month. As part of the presentation, LAI outlined its roadmap and progress-to-date in the quest to implement Manufacturing 4.0 into its four factories throughout the United States. The LAI Northeast team is the first site to roll out the first elements of the Manufacturing 4.0 initiative, which LAI has dubbed Factory of the Future. LAI’s Factory of the Future harnesses technology to improve the quality of products delivered to its customers. A key element of the initiative enhances the way associates receive and collect data. Work instructions are digitalized and associates can input Statistical Process Analysis data with computing tools. The eventual goal is to create control limits and have inspection machines feed the data to the computer for analysis, then feed the shifts or trends back to the machine where the operation that caused the shift occurred. This eliminates the opportunity for a human to make an error and gives the customer a better-quality product at the end of the manufacturing cycle. In addition to enhancing product quality, LAI’s Factory of the Future also improves operations and productivity. Associates are trained to the latest needs, as defined by the customer, and always have the most current instructions to make the product. Real time changes can be made and data is collected digitally, reducing paperwork and potential disconnect from the product. From procuring the raw material through the final inspection, record keeping of all the elements are retained in one location and attached to the customer’s purchase order, further ensuring all the records are provided – an important aspect of the process within the aerospace community. 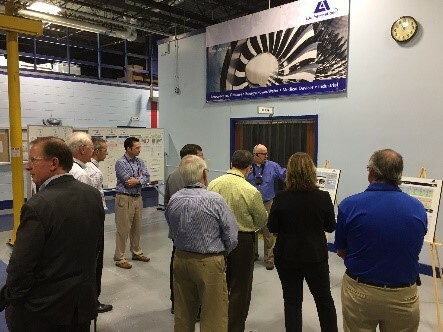 After the Factory of the Future pilot program is underway with floor associates in LAI Northeast (Scarborough, Maine), LAI plans to roll out the system to the LAI New York site (Green Island, New York). The Manufacturing Leadership Council’s mission is to enable manufacturing executives to achieve transformational growth while achieving maximum speed and efficiency for themselves, their companies and the industry at large through the power of enlightened senior leadership collaboration. In support of this, the Council looks at the intersection of advanced technologies and the business, serving as a large executive advisory board; identifying the most innovative growth and improvement opportunities in the operation; organizing and leading manufacturing enterprises; sharing best practices; and developing strategies from the best manufacturing companies in the world. The Council has built an executive collaboration platform that delivers a very robust, facilitated program of thought leadership, networking and services around a member-defined set of critical Issues, along with hand-picked senior leadership members who are shaping the future of manufacturing. In June, LAI International was recognized by the Manufacturing Leadership Council at their Annual Meeting and Awards Gala held in Huntington Beach, California. LAI received awards for Customer Value Leadership, Engineering & Production Technology Leadership, Operational Excellence Leadership, and Visionary Leadership. LAI International is a leading contract manufacturer of precision-engineered finished parts, components and sub-assemblies for advanced industries, including Aerospace, Defense, Energy, Industrial and Medical. LAI is also a growth company with longstanding and entrenched relationships with a diversified customer base of leading OEMs. Innovative ideas, best-in-class people, optimized processes and leading-edge technology differentiate LAI from the traditional manufacturing and supply-chain model. As a true strategic partner, LAI is focused on solving tomorrow’s complex component manufacturing problems today. For more information, please visit http://www.laico.com/.